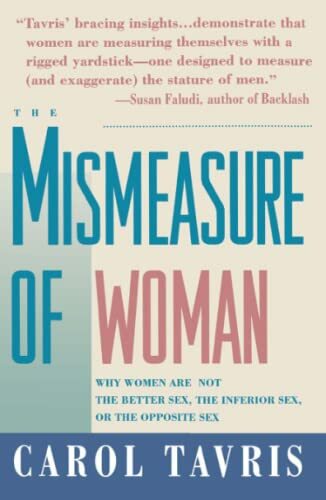 Philadelphia Inquirer Tavris' lucid analysis is sharpened by a wit that punctures the pretensions of "experts...".This provocative book covers an impressive range of topics [and is] a thoughtful, challenging contribution to the debate on gender and its social meaning -- a humane plea for understanding between men and women. Carol Tavris, Ph.D., is a social psychologist, lecturer, and writer on many aspects of psychology. Her books include Anger: The Misunderstood Emotion. Tavris is a Fellow of the American Psychological Association. She lives in Los Angeles, California.